GREAT product! I love the design and it is very good keeping student incentives! We added some plastic chains and alpha numeric locks and the kids have a blast opening the locks to get inside the chest. We use this in Children's Ministry as a treasure box. Works great! 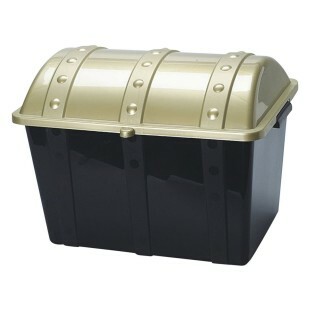 Though plastic and slightly flimsy -this is perfect as a small item's treasure chest. We use for our Kindergarteners -it's a good size for them to carry and probably good for a couple years. Kids know if they are caught being good they get to dig in the treasure chest!